This 2-page SmartLabTool performs the calculations that assist the design of QC procedures, and the routine monitoring of methods and instruments. 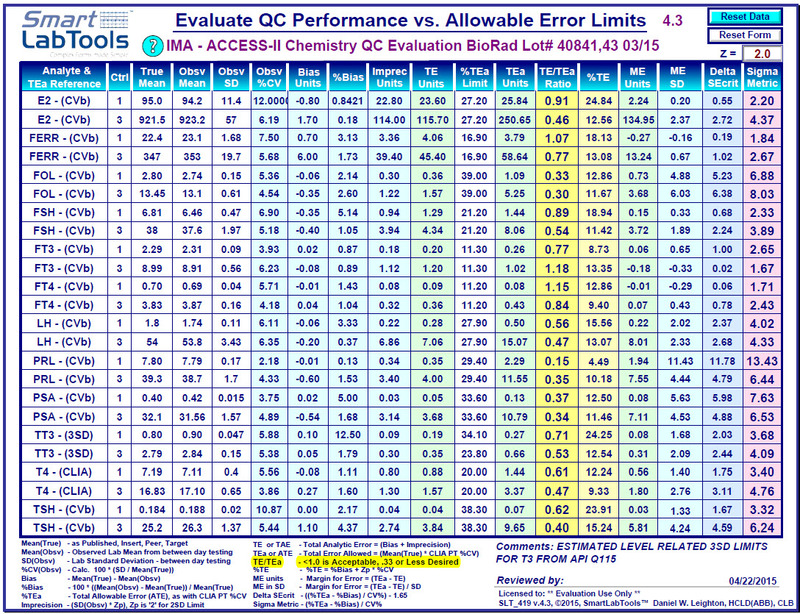 Compares QC total error to allowable error limits. 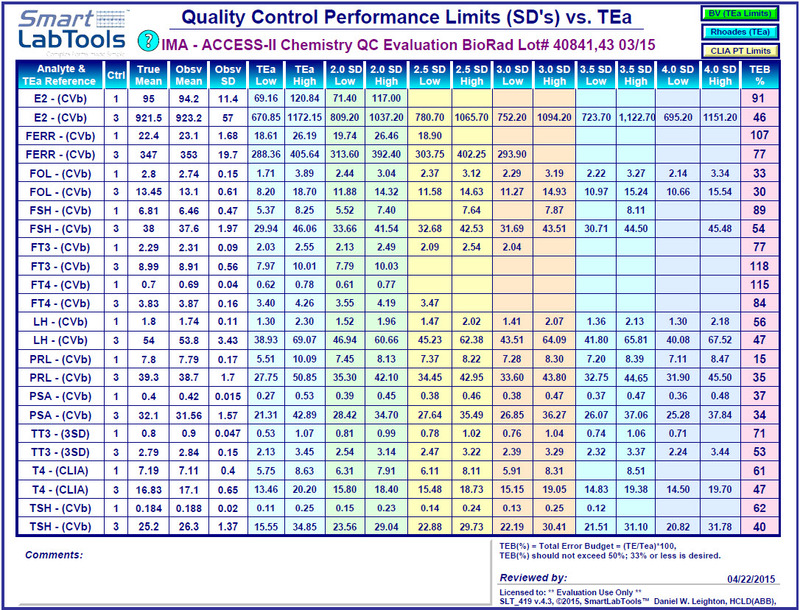 Analyte, Source for TEa limits, Control Level, True Mean, Observed Mean and SD, TEa limit (%). Calculations happen automatically on both pages​​ (actual user month-end statistics were used in these example images). User may [Save] the ​​Template for re-use. [Reset Data] preserves the Analyte descriptions and TE%, while clearing lab statistics and calculations. Westgard Website - "Westgard Rules"